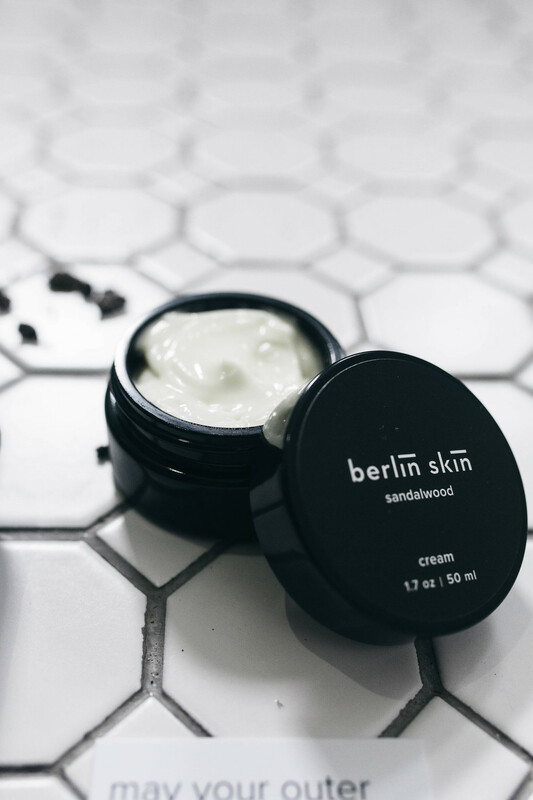 I've had quite a few people ask me about my skincare routine and I wanted to take this opportunity to brag on my good friend Monica, founder of Berlin Skin. Not only is this product beautiful, but it has an incredible vision behind it. Not to mention the amazing results people are seeing from using it. With the belief that our inner beauty must always match our outer beauty, Monica is surely living out the traits of a radiant soul and creating beauty in the world. never tested on animals + 100% cruelty-free. no parabens, sulfates, mineral oil, synthetic fragrances, or other harmful ingredients. highly concentrated wildcrafted, organic, and plant-based ingredients. formulas made in the USA with 100% renewable energy. recyclable miron glass jars and bottles from Germany. and it smells AMAZING (always a plus).